Neymar Jr’s Five is a global tournament in more than 60 countries. It is sponsored by Redbull and Neymar. The champions of each country play in Brazil and the winning team play with Neymar’s team. Ali Fuat Yalinkaya attended the game with his team. They were the only international team in Dublin, Sandymount. Most of the team’s members were Irish at the tournament. 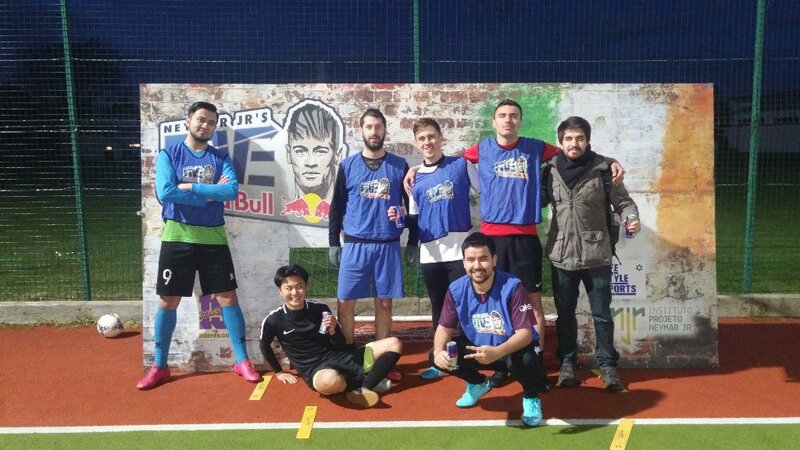 cited @neymarjrsfive.com Ali Fuat Yalinkaya with his team; a Turk, an Uzbek, a Japanese, two Brazilians and a Luxembourgian. He said that It is a disappointment for him to lose Brazil vacation and the chance to meet with Neymar. However, he highlights the fact that it is a good opportunity for young fellas. Each team has to pay only 35€ to join the tournament and an opportunity to show their skills to authorities; It is also chance to find a place in a real football team, worth trying. Neymar Jr’s Five 2018 had been played in three different location in Dublin; Sandymount, Ringsend and Cooloak and Galway, Limerick, Kilkenny. The tournament’s followers are waiting to learn the champion of 2018 Neymar Jr’s Five World Cup on 21 July 2018.